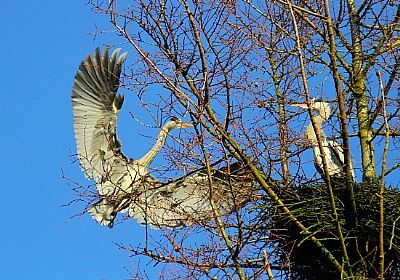 The Larch lap trees which also include the nesting trees for the Grey Heron at the park, the herons have been arriving here for more than 20 years, I have personally photographed their arrivals and departures. For the last 15 years it's been a very educational, interesting, and enjoyable experience. 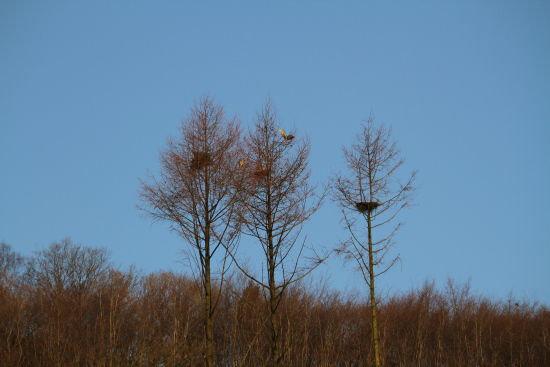 The nesting trees have had a stay of execution for these particular Larch lap trees for this years breeding season. Alas soon afterwards the nesting trees are to come down, as for now they are the the last trees standing there are around 4/ 6 pair which arrive in late January and stay until the breeding season usually ends approx around late July, they usually have 2 young to a nest so there's quite a colony in the summer months, these photographs were taken recently. 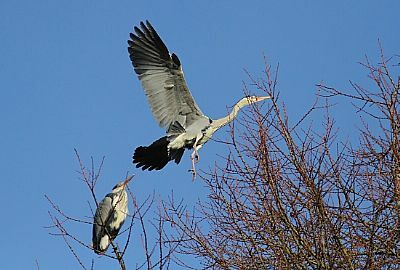 I wonder if the Grey Heron will ever return in 2014 to continue to visit our country park and keep us entertained throughout the years to come?